SMTP is the topic of part five of this series. Enabling mail logging and securing the mail server is an important part of running VMware Server. Learn how in this tip. Enabling mail logging and securing the mail server is an important step in getting VMware Server ready for usage. 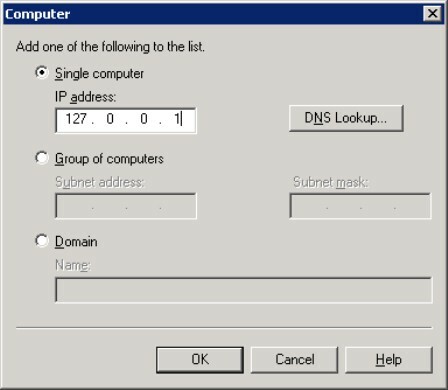 Now that we've discussed the components of VMware Server and walked through installation and configuration of Windows and IIS, let's look at SMTP. A few basic steps need to completed to enable mail logging and to secure the mail server. 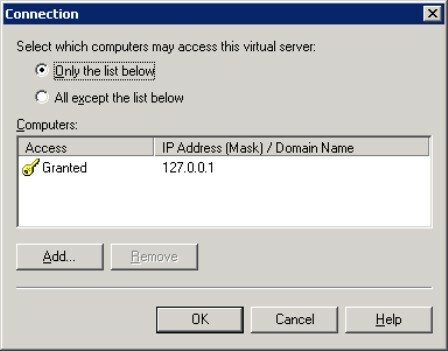 Right-click on the text that reads "Default SMTP Virtual Server" and click "Properties." Check the box next to "Enable logging" and then click the button labeled "Properties" in the lower right-hand corner. The window that appears should look familiar; it is the same as the logging properties window for the websites folder that was set earlier. Ensure that the box next to "Use local time for file naming and rollover" is checked and then click on the tab at the top labeled "Advanced." Ensure that all the boxes listed under "Extended logging options" are checked and click "OK."
Click the "Add" button. A new window titled "Computer" will appear that looks like the one that appeared earlier. 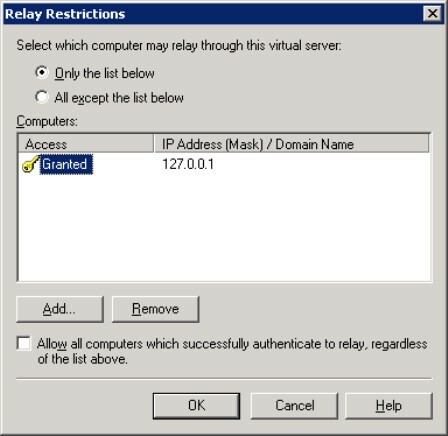 Repeat the same action in this window -- under the heading of "Single computer" type "127.0.0.1" and click "OK." Now, uncheck the box next to the text "Allow all computers which successfully authenticate to relay, regardless of the list above." Here you'll find every link and term mentioned throughout this series. Now its time to relocate some of the mail directories to the secure data area. Click on the tab labeled "Messages." Under the heading "Badmail directory," type "e:\var\mail\badmail" It is okay if this directory does not yet exist; this process will create it. Click "OK."
Now, click on the plus (+) sign next to the text "Default SMTP Virtual Server" to expand it. Click on the text "Domains." On the right side of the screen should be an entry with the name of the server under the column "Domain Name." Right-click on that entry and click "Properties." A new window will appear titled "%HOSTNAME% Properties." 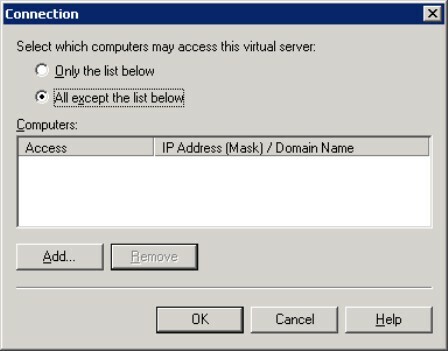 Under the heading "Drop directory" type "e:\var\mail\drop" an click "OK."
It is now okay to close the IIS Manager. 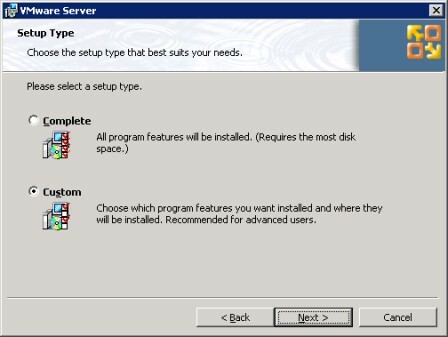 Although it took a while, it is now time to proceed with setting up VMware Server. 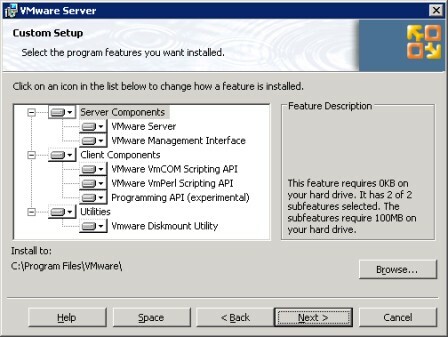 First, download the latest version of VMware Server from a secure computer and transfer it to the server by burning it to a CD-ROM or a flash drive with a physical read-only switch. This is the same configuration that would have been installed had the "Complete" option been selected on the previous screen, but this is a good way to review all of the components that are going to be installed. Click "Next." Click the "Install" button on the next screen to proceed with installation. 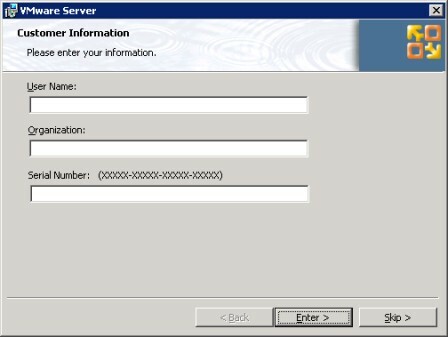 After the installation completes, a screen will appear asking for some information, in particular the serial number for VMware Server. To obtain the free serial number for VMware Server visit this part of VMware's Website, and click on the "Register Now" button. Enter the serial number and click "Next." Congratulations, VMware Server is now up and running on the server. 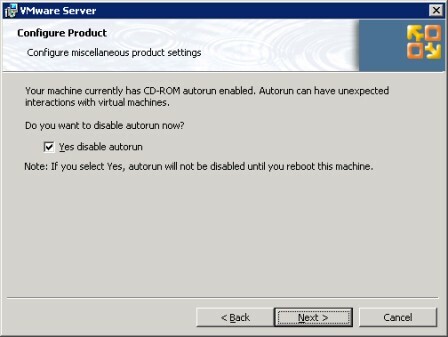 In the next part, we'll discuss how to configure and secure it.